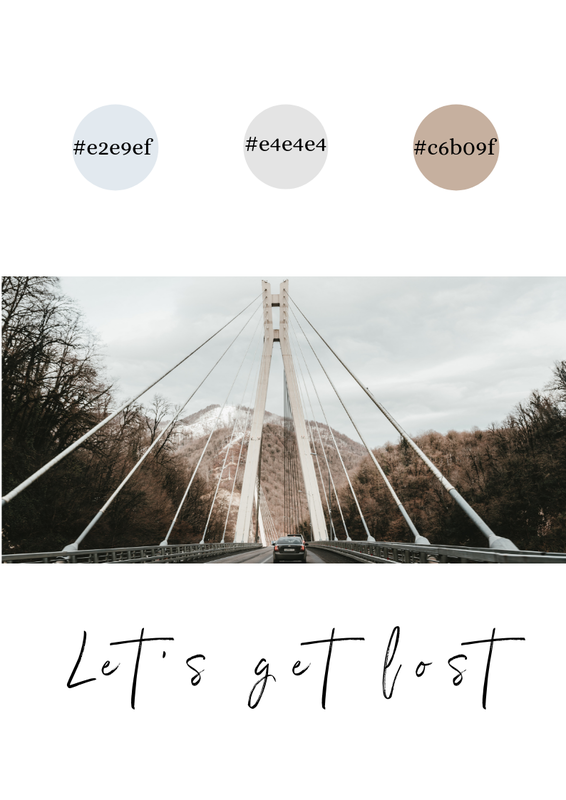 This moodboard is inspired by unplanned roadtrips on a sunday during the winter. A roadtrip that is leading us to unfamiliar places where we get to explore the unknown, breathing in the fresh air and enjoying nature. What follows after this roadtrip is a cozy home with a big knitted blanket and a cup of hot chocolate with marshallows on top. I think what inspired me the most while creating this moodboard was the weather outside. It was snowing on that day and for quite a while I have been having the urge to just hop on a train and to go see unfamiliar places just like I used to a few years ago. The urge to travel is getting stronger and stronger lately and is bringing back old memories.